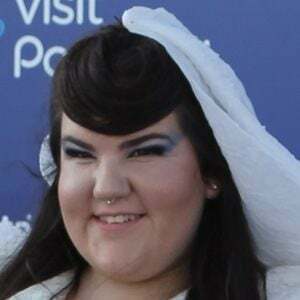 Singer who scored a viral hit with her song "Toy," which was written for the 2018 Eurovision Song Contest, which she went on to later win. She had previously won season five of the Israeli singing competition HaKokhav HaBa. She was raised in Hod HaSharon, Israel except for the four years she spent living in Nigeria as a child. The Ugandan dance group Spoon Youth posted a viral video set to "Toy." Her family is originally from the country of Georgia. She has covered Kesha's "TiK ToK."